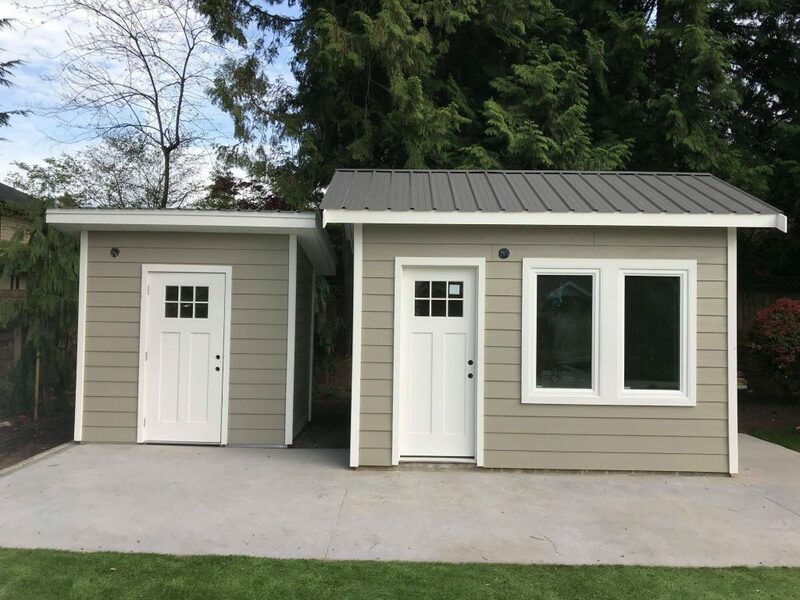 Double the Shed – These clients requested two sheds. One for an outdoor office/reading room and a second to store outdoor patio furniture in the winter. 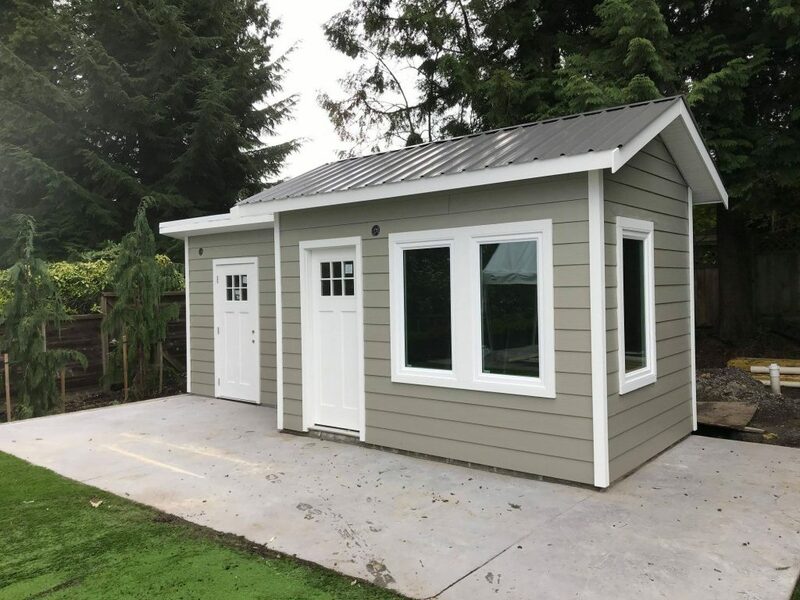 Both sheds feature pre-colorer fibre cement siding, exterior grade doors and windows, metal roofs, and matching casings, fascia and corner boards. The larger shed is intended to be used as a reading room. The larger shed is fully insulated, heated and has electricity. 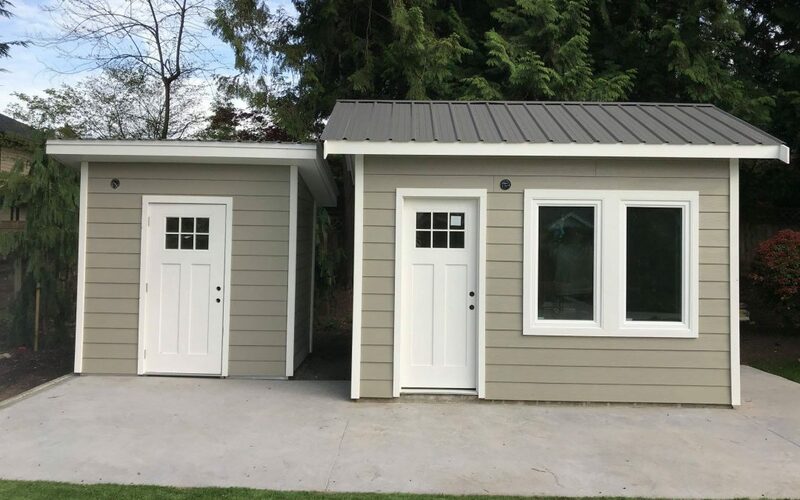 The smaller shed has the same exterior cladding but is not insulated or heated.